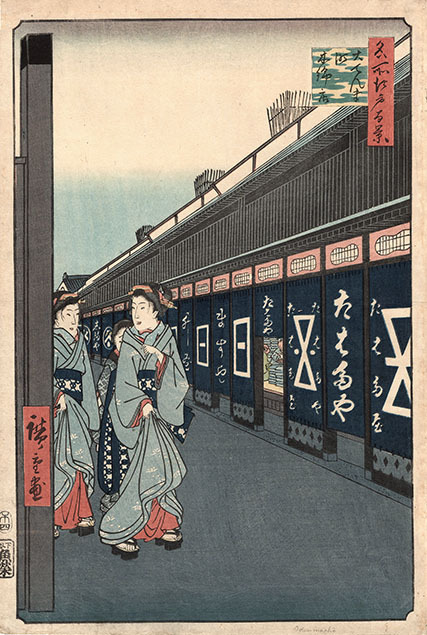 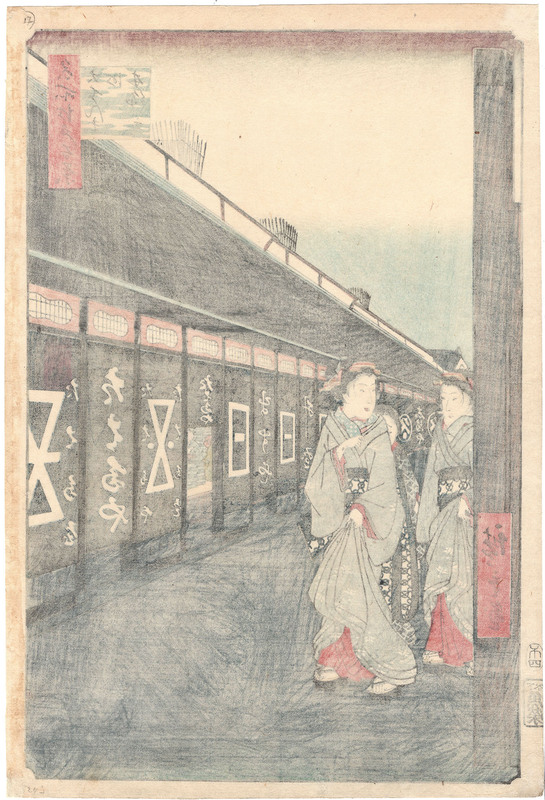 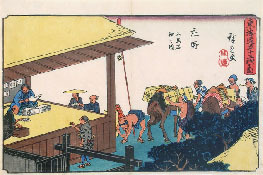 Colour woodblock print, 1858, from the series 100 Famous Views of Edo published by Uo-Ei. 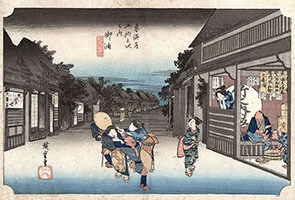 Signed Hiroshige ga, seal of the publisher and date seal. 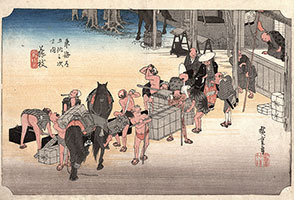 Very good impression, good colour; four small binding holes restored on the right side, generally in very good condition. At the British Museum is preserved a copy of the print with a color scheme very similar to ours, but fresher in colour.